This group is currently inactive. If you are interested in being a chairperson for this group, please email kcsmapto@gmail.com. Purpose of the F.B.I. Group: KCSMA is very fortunate to have many involved families, including fathers, grandparents, and other men donating their time to the school. The F.B.I. 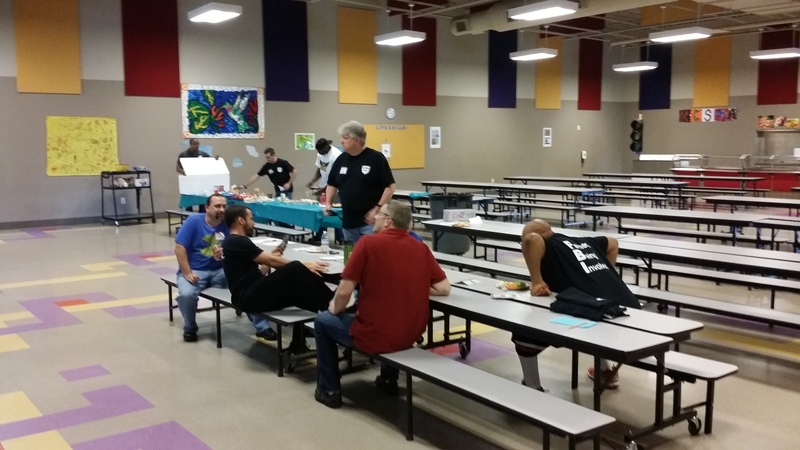 (Fathers Being Involved) is a subcommittee of the KCSMA PTO that will highlight and celebrate these men and to encourage others to play an active role in their children’s education, by volunteer at the school. There is no membership fee to be a member of the KCSMA F.B.I., although PTO membership is encouraged. F.B.I. agents are asked to wear F.B.I. t-shirts whenever they volunteer at the school. Agents are encouraged to volunteer at any school event/activity that needs volunteers, and there will be special F.B.I. volunteer opportunities throughout the year. This is a new group, so bear with us as we adjust to the needs of the school and find our perfect fit. Chairperson of FBI: Volunteers needed. Notes from 9/08/2015 meeting may be viewed here.